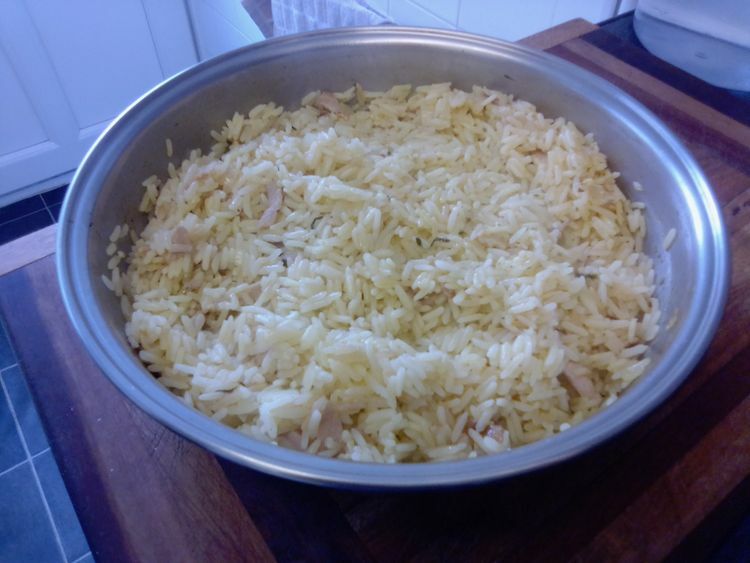 This is how to make this wonderful easy rice…. First you have to decided what flavours you are in the mood for today. Curry, Chinese or whatever you like to eat. My whole family loves bacon and I just happened to have a few pieces in the fridge to use up anyway, so I cut the bacon into little pieces and fried it off with finely chopped onion in a little bit of oil. I also like smoked paprika so added just a little bit for taste. You then stir the rice in the pan or pot, whatever you decide to use, for a few minutes. Not too long… Then it is time to add the liquid….. 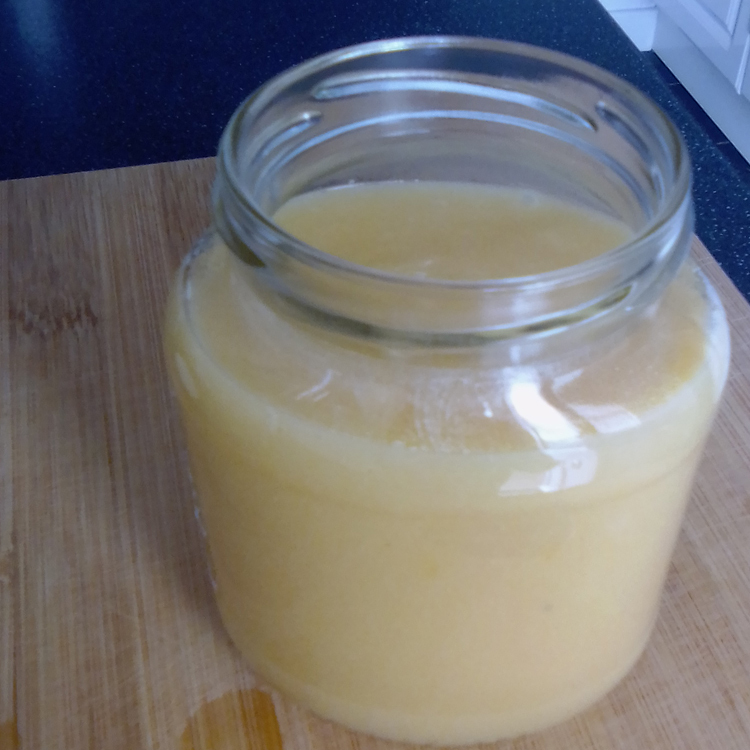 I used chicken stock. 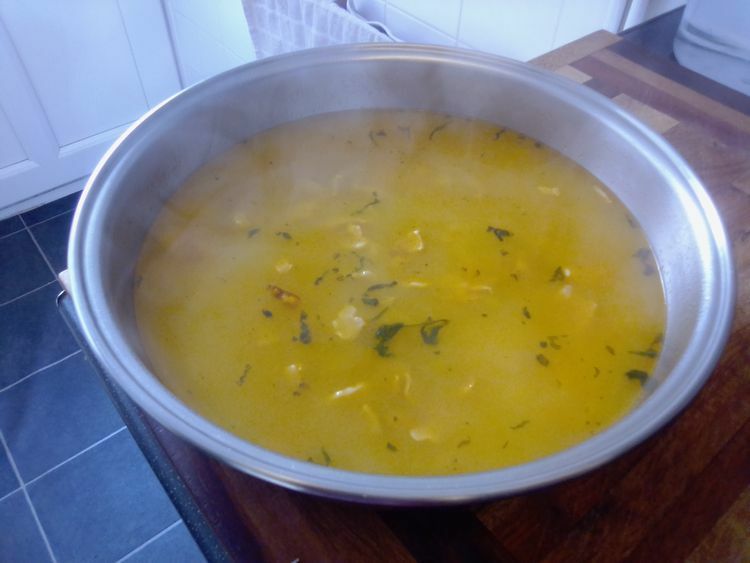 Take one chicken stock cube and add 2 cups (500ml) of boiling water and stir. Now it is ready to add to your rice mixture on the stove. 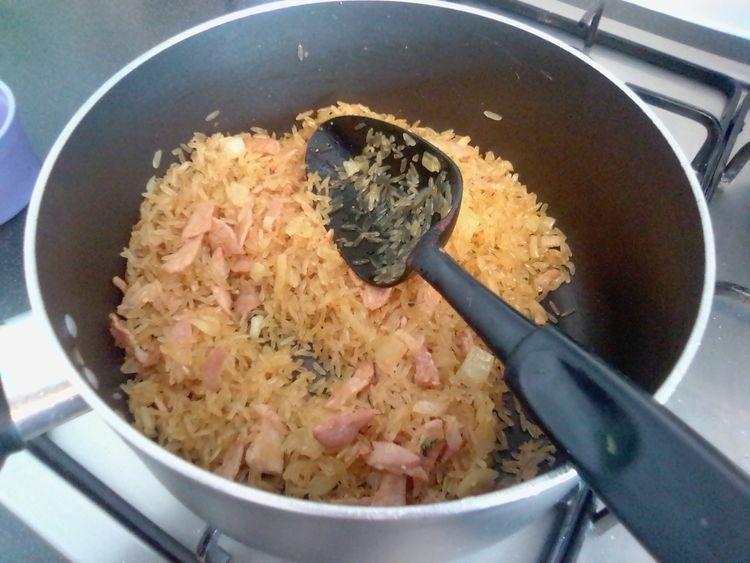 Stir the mixture together… Remember you need 2 parts liquid for every part rice that you are using. Then you have to find an oven dish or whatever you have lying around. I could only find our braai dish (a round one) and it worked wonders. I now use nothing else :). Pour the rice and stock mixture into the dish… Make sure you cover it very well. You want the steam from cooking to stay in the dish, not escape into the oven. Pre-heat the oven to 180 degrees celcius and then add the mixture to the oven. You need to let it cook for about 10 minutes. Then take it out of the oven and stir. Leave it another 10 minutes. It should be cooked after 20 minutes. If not, just cook a bit longer until the rice is dry. 20 ml of cake flour. I add 20ml because I make everything gluten free, if you are using regular flour, start maybe with 15 ml. 1. Mix the sugar, mustard, flour and salt in a bowl. 2. Microwave for 4 minutes on 100% stirring after 2 minutes. 4. Microwave for 3 minutes at 50% until it turns thicker.